Catching your first wave is an experience you’ll never forget, and knowing the correct technique will have you up on your feet and surfing in no time. 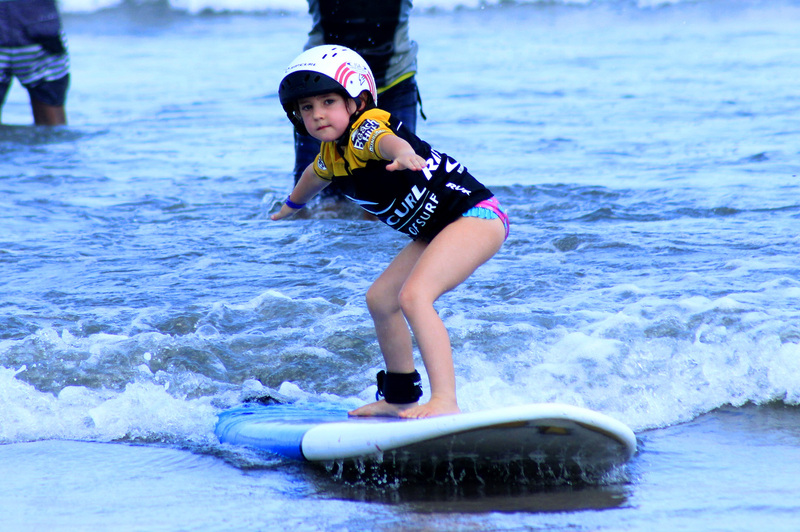 You can choose from a range or courses all designed to improve your surfing whatever level you’re at. Our coaches will assess your ability and show you how to improve, whether it’s catching more waves, perfecting your bottom turn or faster cutbacks.From theory in the classroom to practice of the beach, our surfing syllabus covers everything you need to make the most of your surf sessions and get you stoked. So you can ride waves but want to smooth out those sketchy cut backs and bottom turns? Push yourself to control the extra power of reef break waves and learn how to stay safe. This course teaches you about using natural channels to get out back, reading how a wave breaks, wave take-off positioning and improving manoeuvres like bottom turns, carving and cutbacks. See for yourself when and where you are going wrong of your session, and by the end of this course you’ll know exactly how to keep improving your technique. Study up before your course by clicking on the study book icon. You’re already pushing the limits of your surfing and are now ready to throw yourself in the deep end. This course is designed to help you to step up your game. Learn how to drive off your bottom turn to slash the lip of a wave, master fast rail-to-rail surfing and smoothly link your manoeuvres. Borrowing elements of the Rip Curl Team Rider Manual, this specialized course will make sure you can really nail those manoeuvres and tricks that you’ve been working on. See for yourself when and where you are going wrong with video analysis of your session, and by the end of this course you’ll know exactly how to keep improving your technique. Study up before your course by clicking on the study book icon.